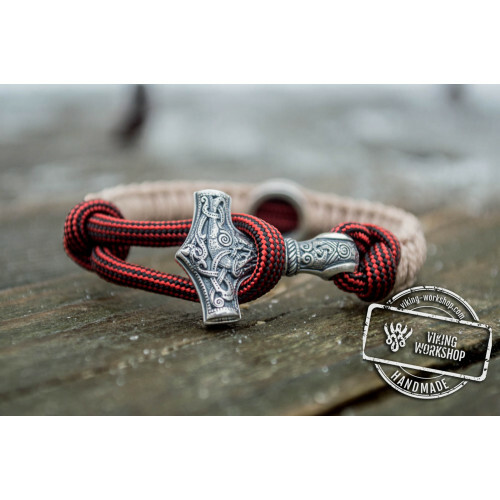 Since ancient times till the present, people searched for protection from evil and misfortunes. 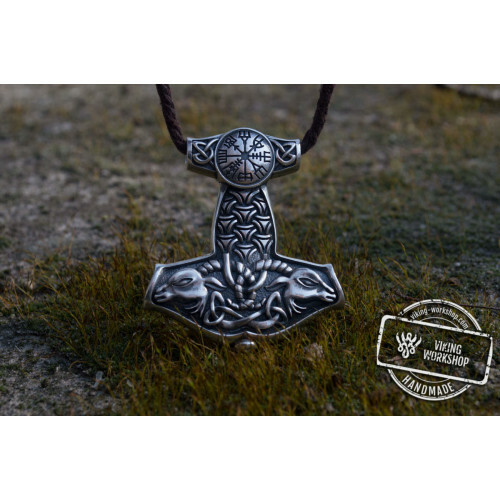 Scandinavians had a symbol of protection is the hammer of Thor. 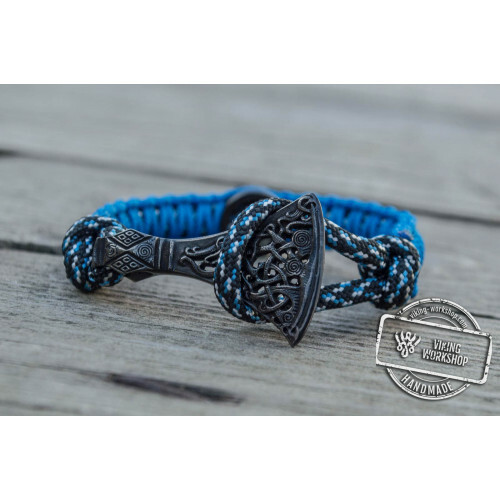 It helped warriors in battle giving them strength and courage. 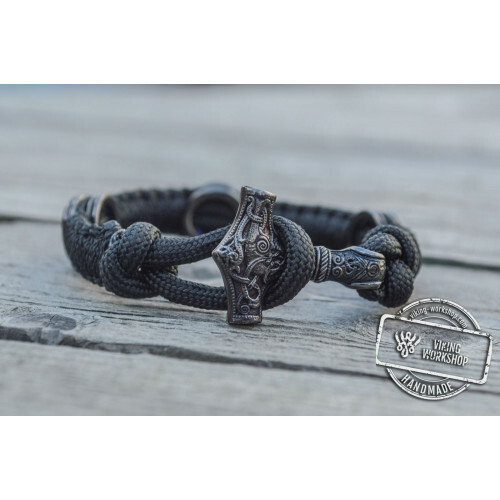 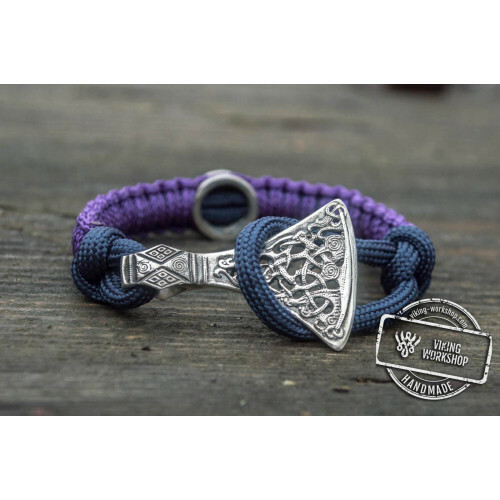 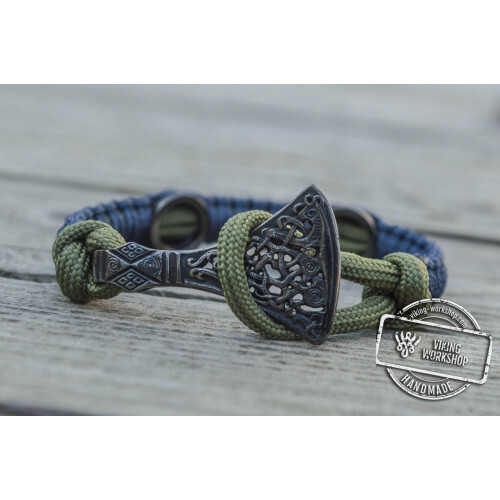 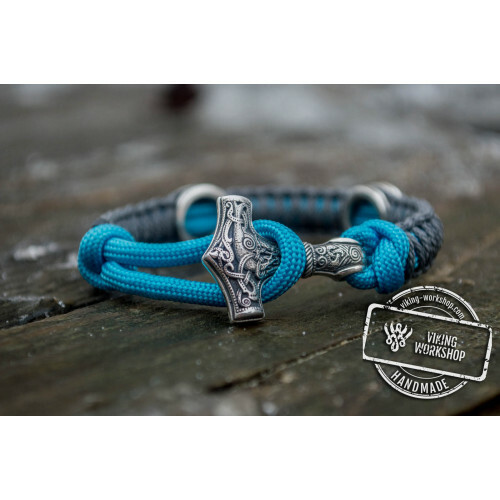 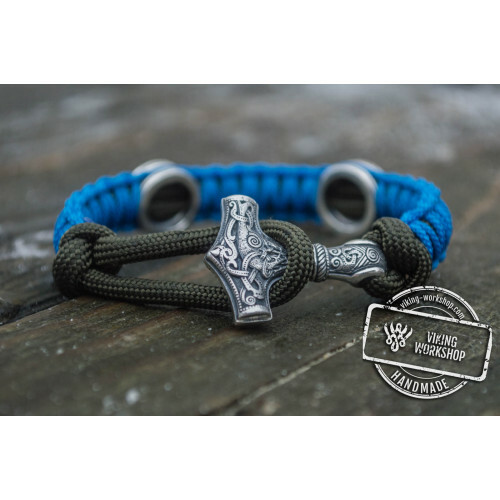 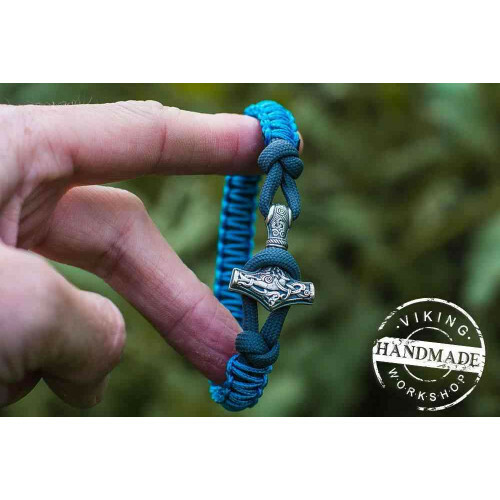 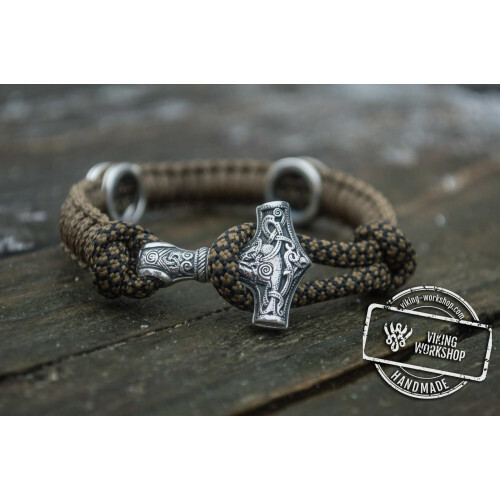 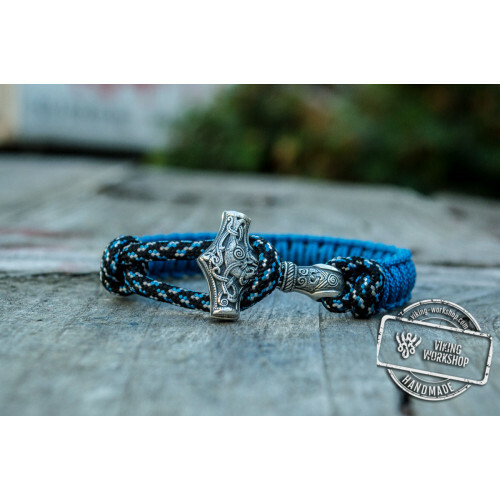 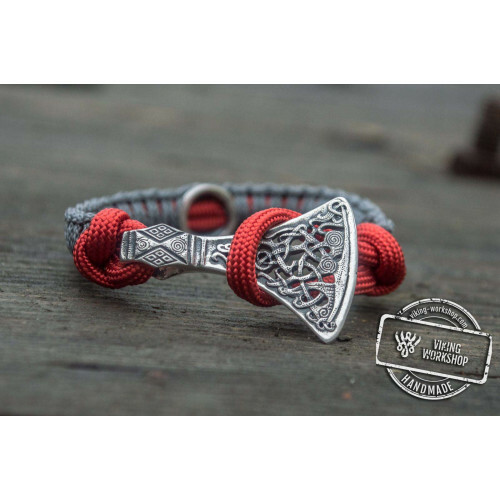 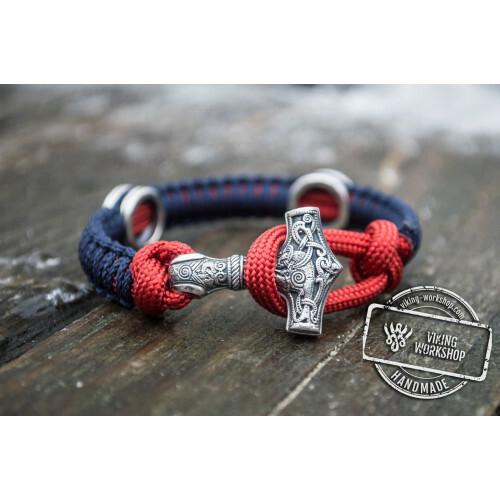 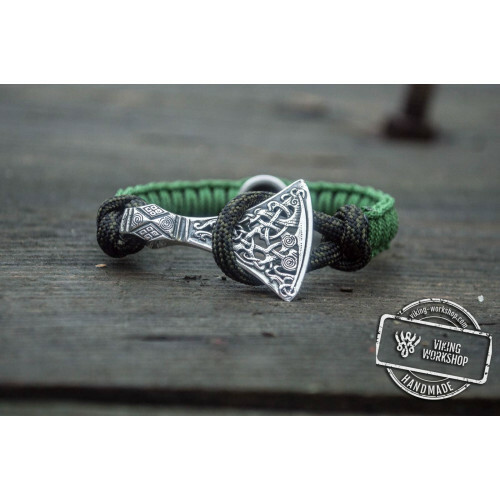 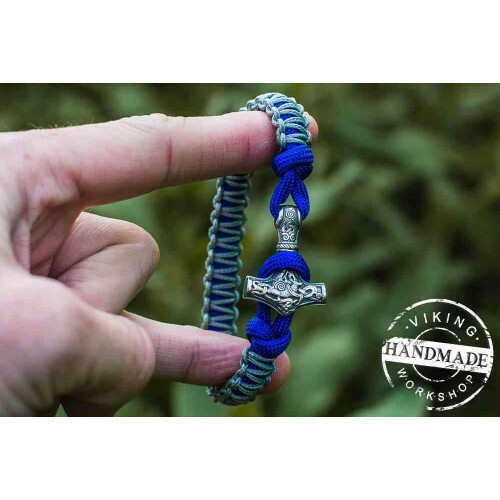 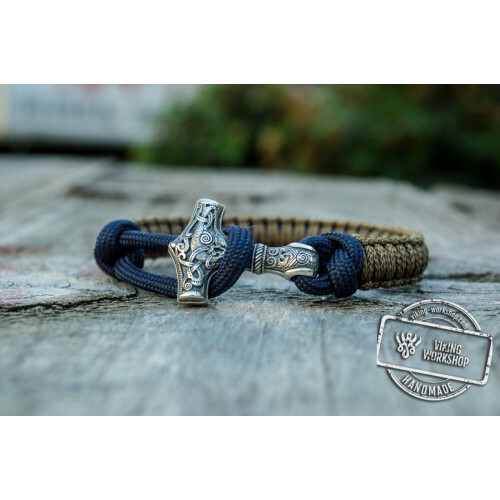 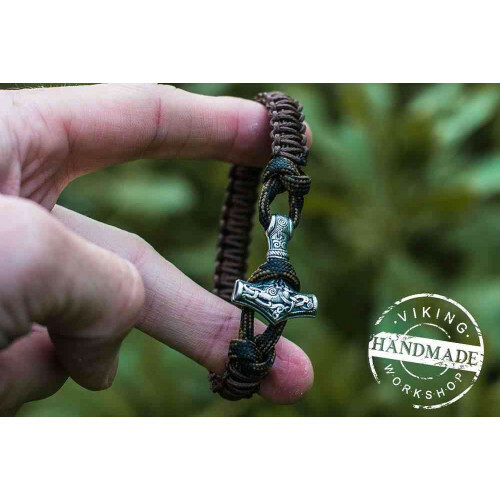 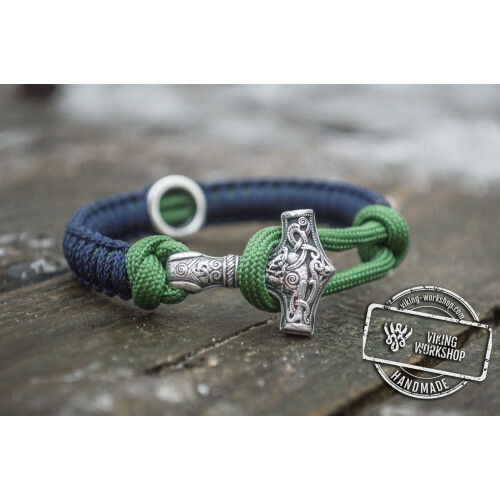 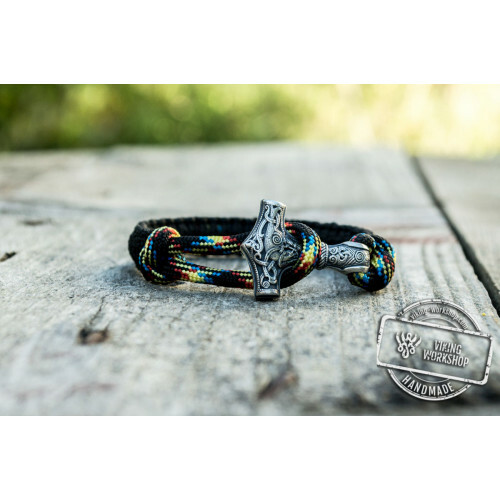 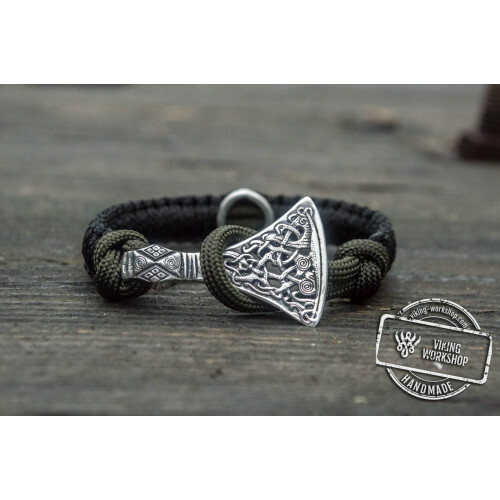 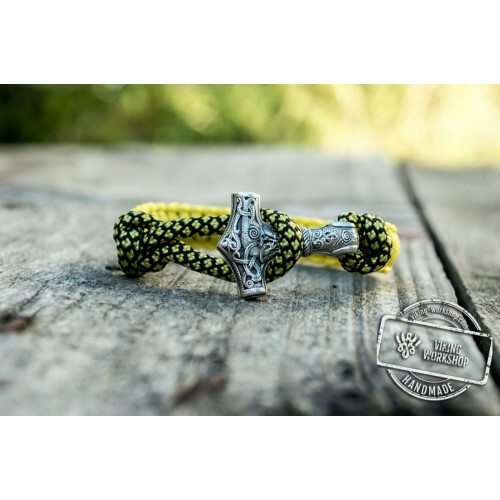 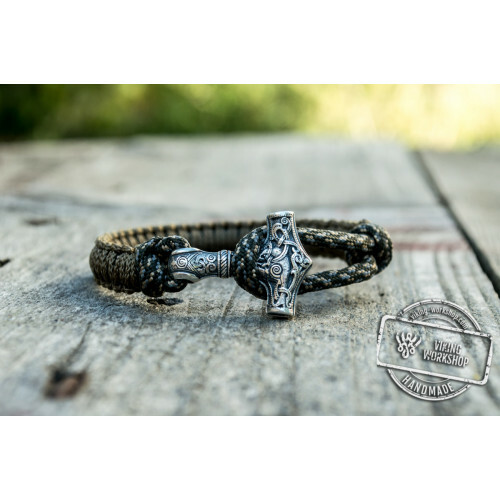 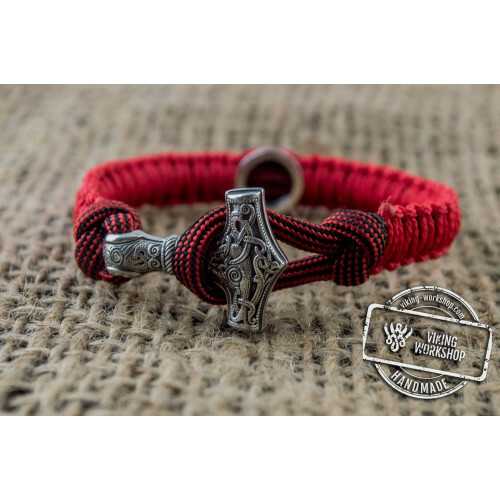 Paracord Bracelet with Silver Plated Mjolnir (Coffee + Military) viking-workshop is is a unique handmade product, which is made of silver-plated bronze. 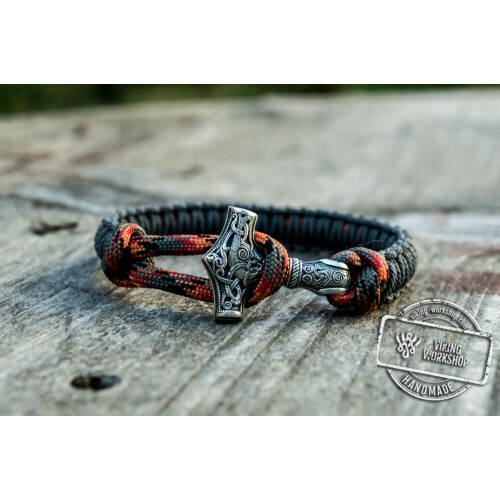 It can be combined with everyday clothes and it will perfectly complement any image. 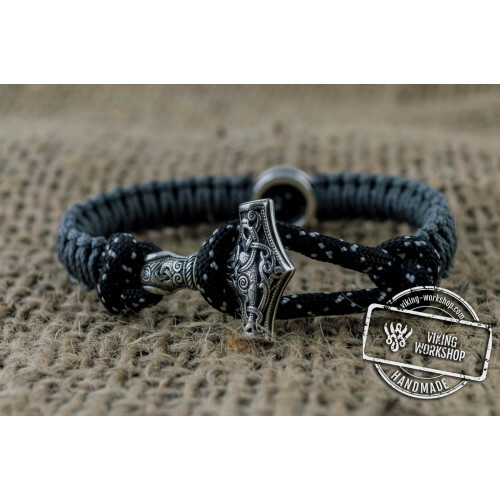 This jewelry is suitable for all men. 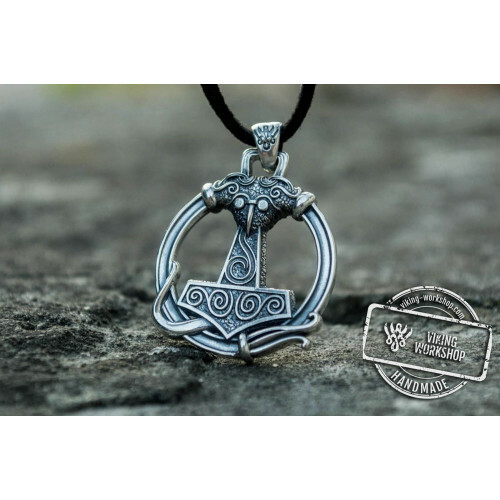 The legend has it that the hammer, not only protects against negative energy, but is a symbol of fertility as well. 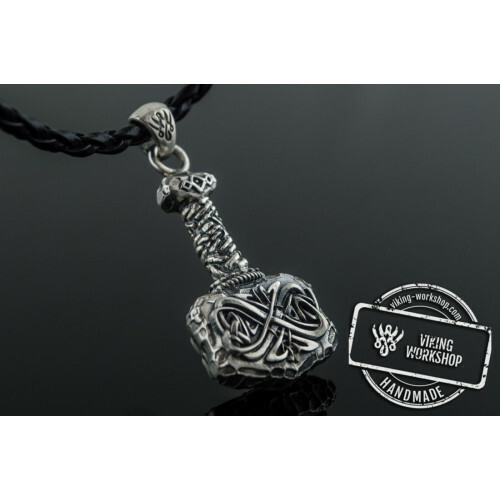 Newlyweds placed the amulet under the bed for the family to have many children. 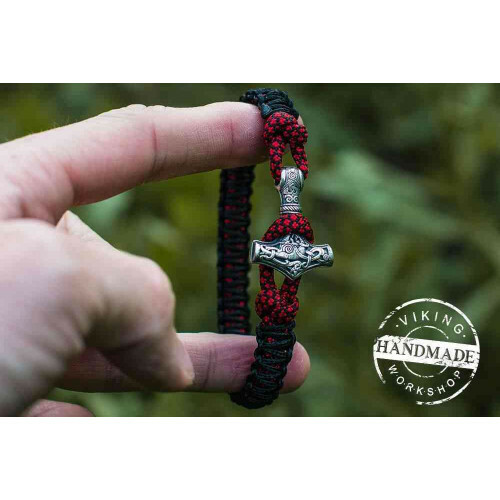 In any difficult situation this Norse charm defended its owner. 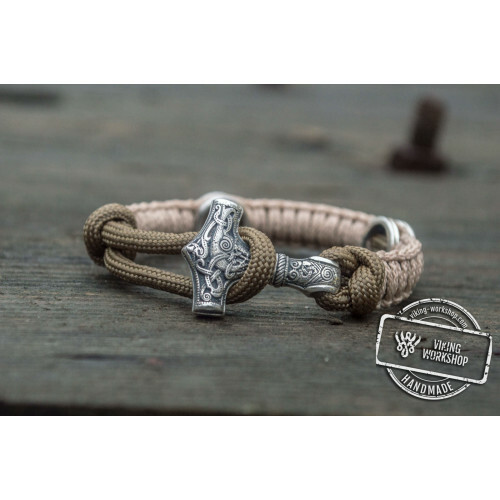 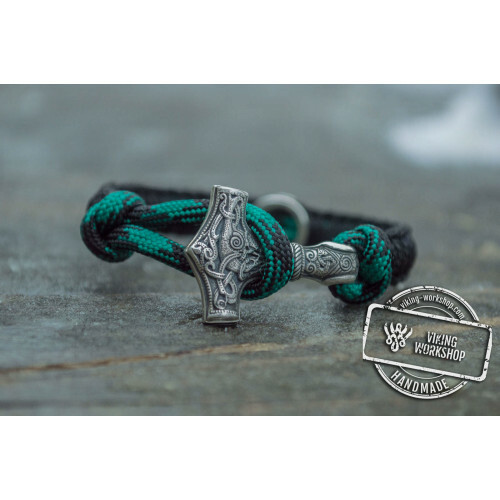 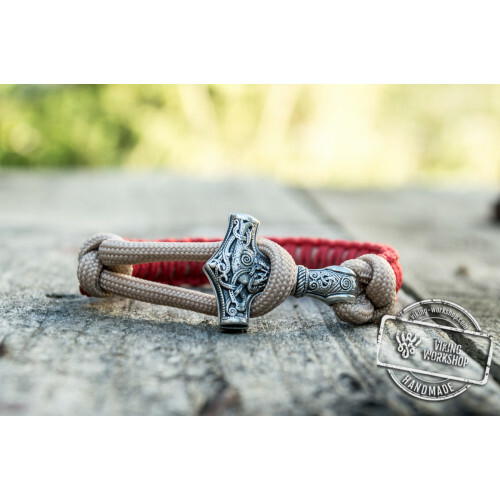 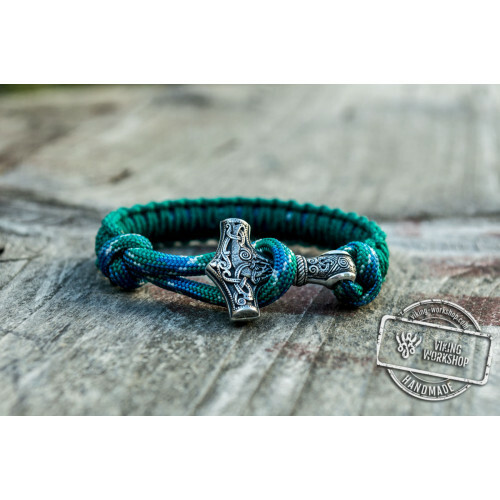 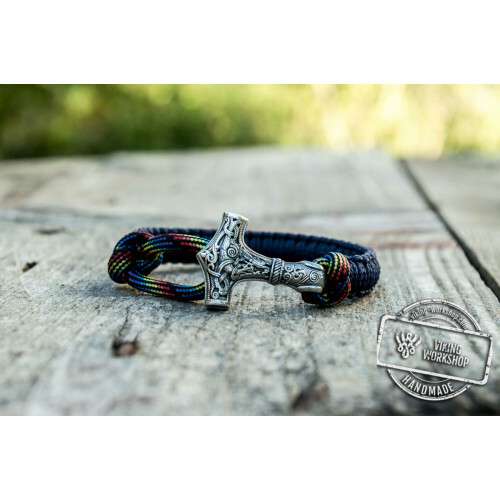 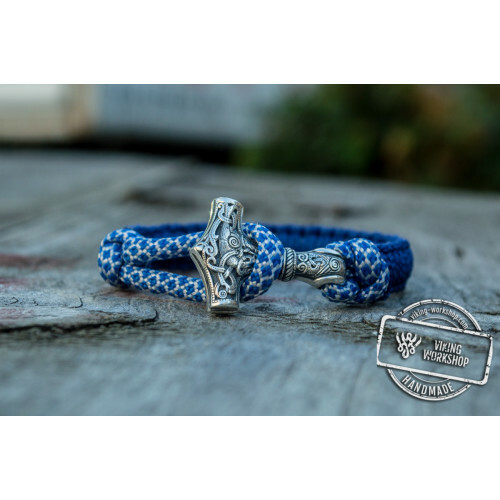 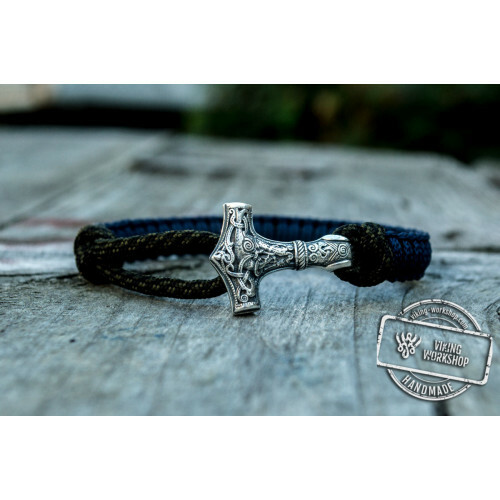 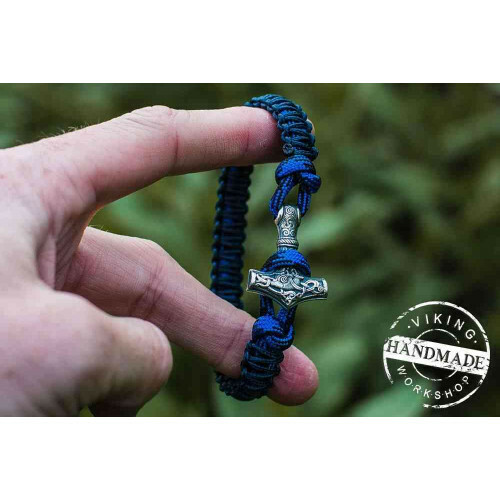 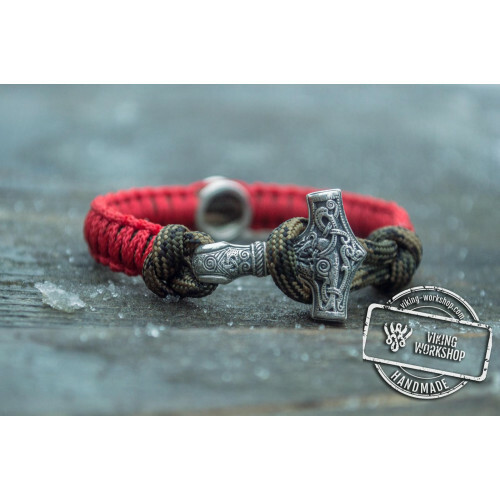 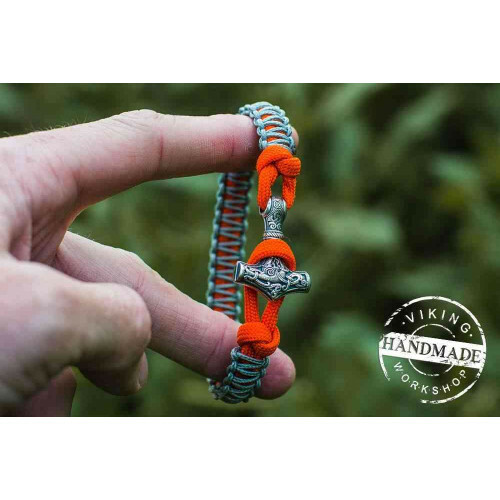 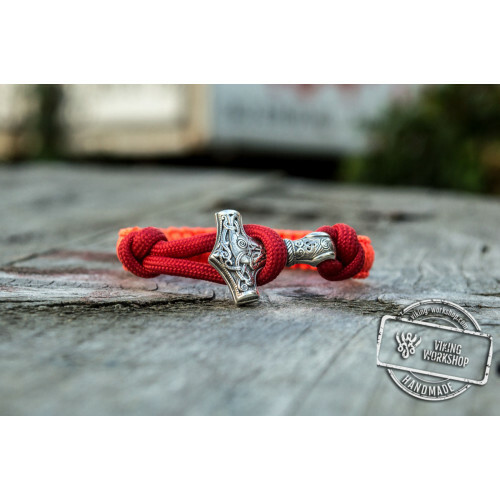 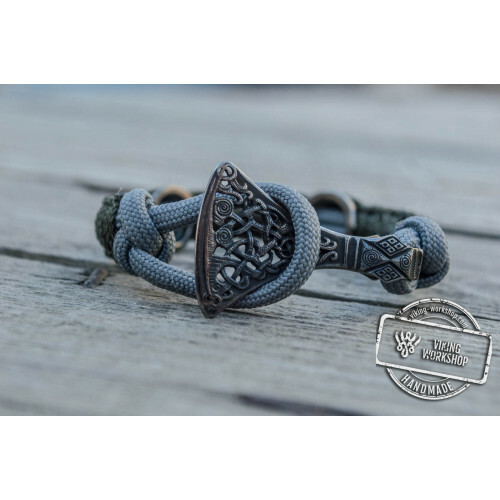 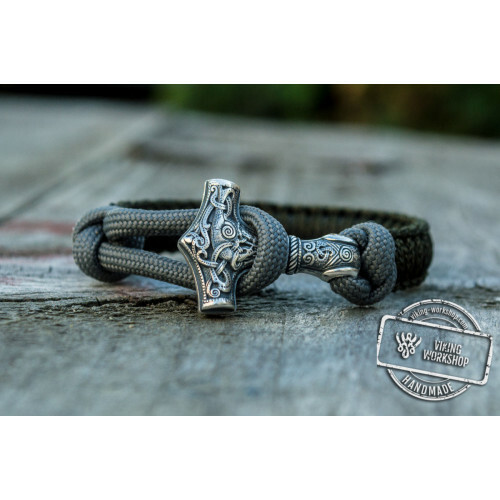 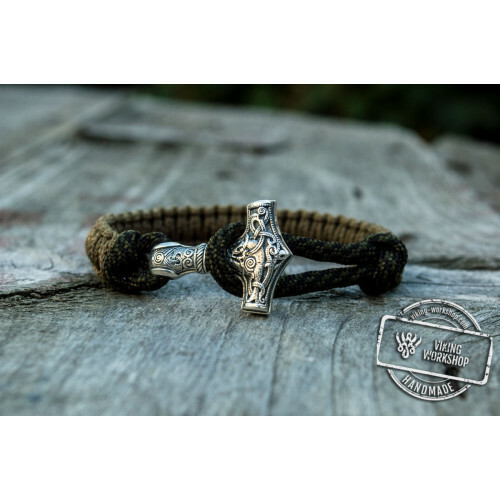 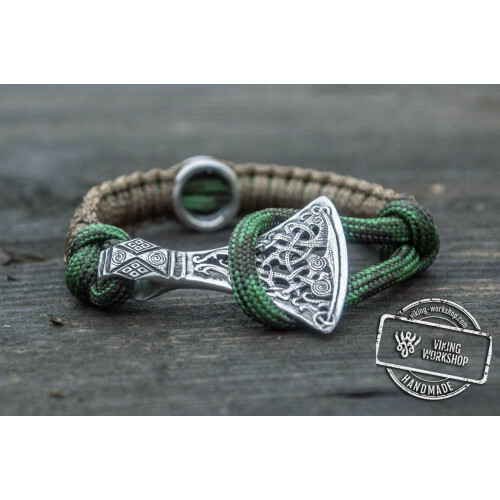 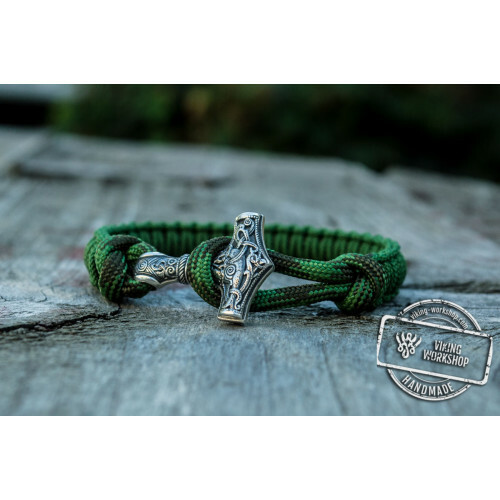 Paracord Bracelet with Silver Plated Mjolnir (Coffee + Military) for sale is always available - our jewelers will make it in the shortest possible time. 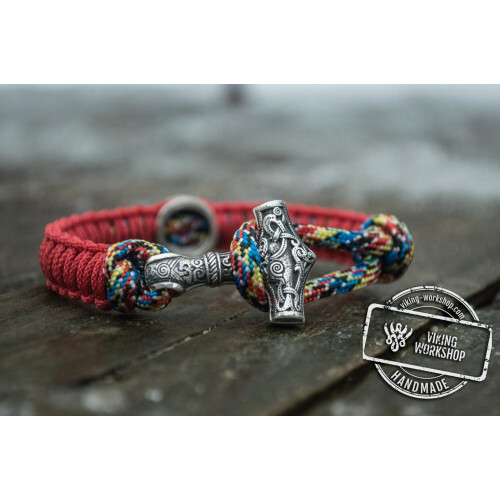 You can also find Thor axe pendant on our website. 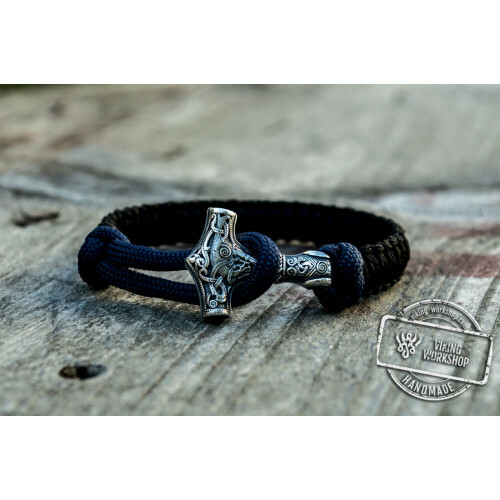 Fast pace of life often leads to stress, and affected by various events. 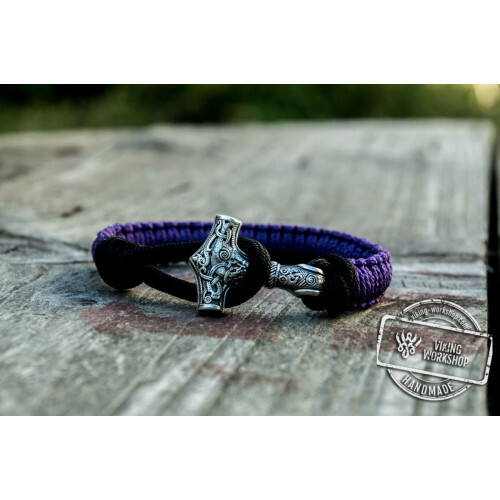 Not being able to relax and leads to negative consequences. 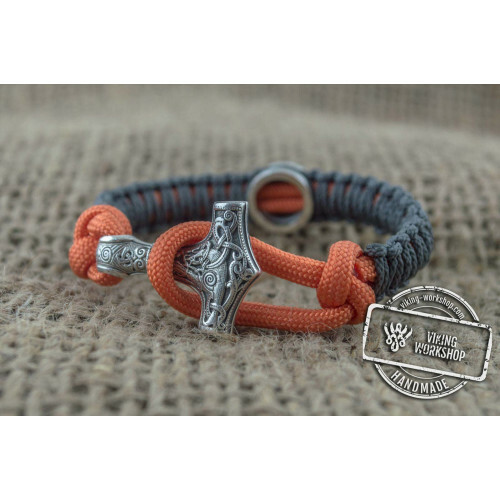 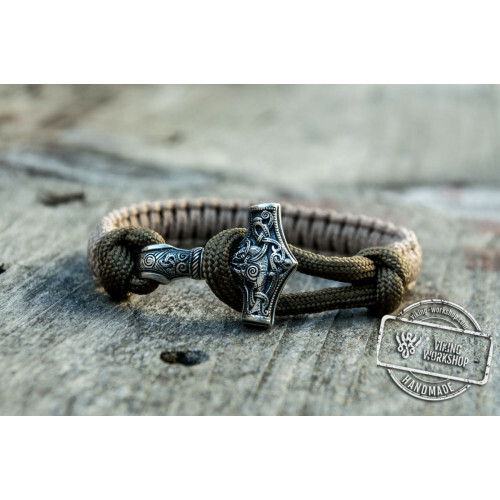 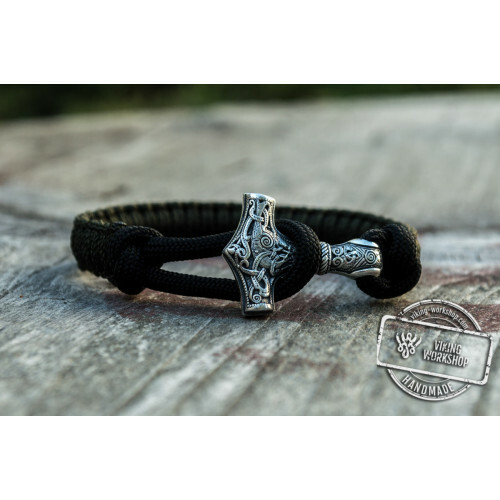 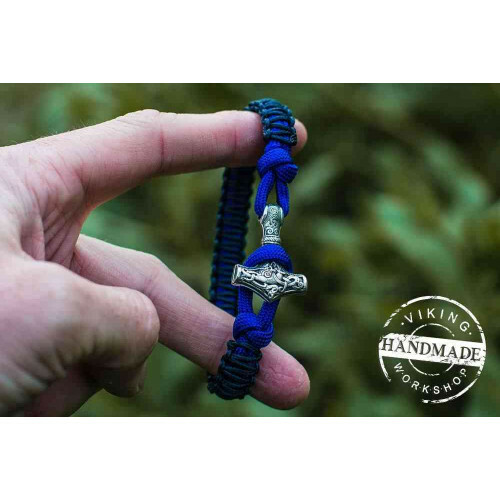 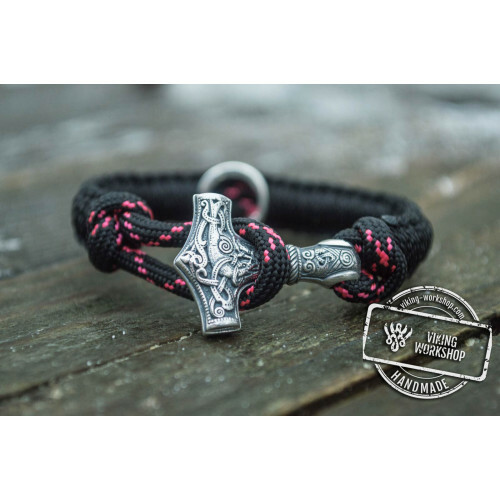 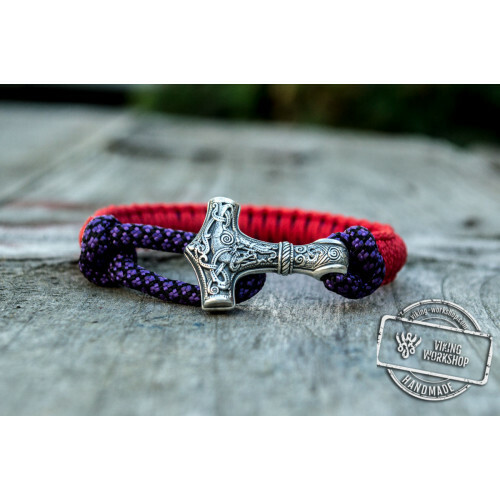 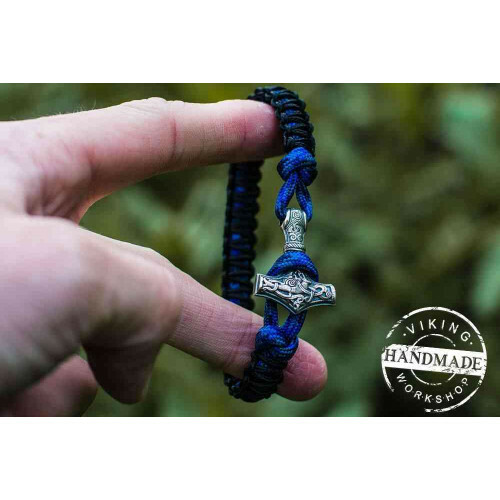 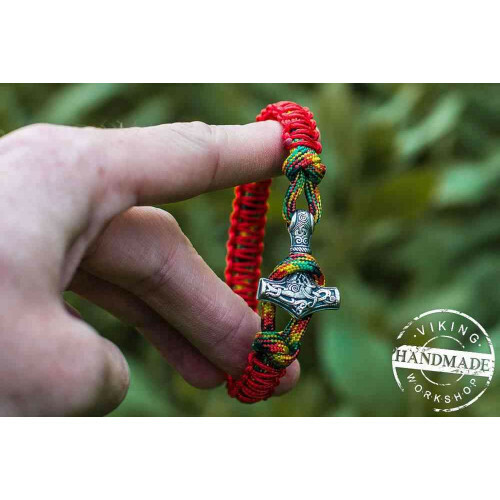 You can order Paracord Bracelet with Silver Plated Mjolnir (Coffee + Military) on our website. 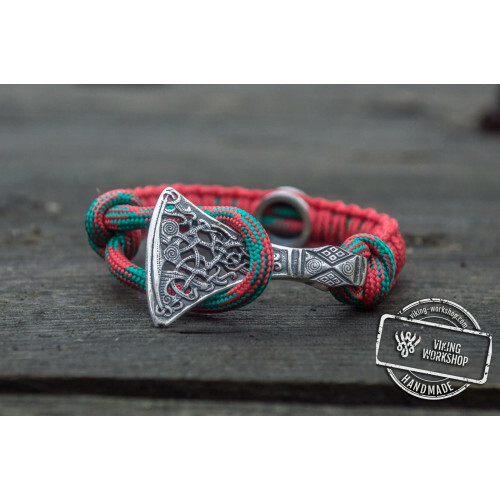 It will make for a beautiful accessory and addition to your wardrobe and protect you from negative energy. 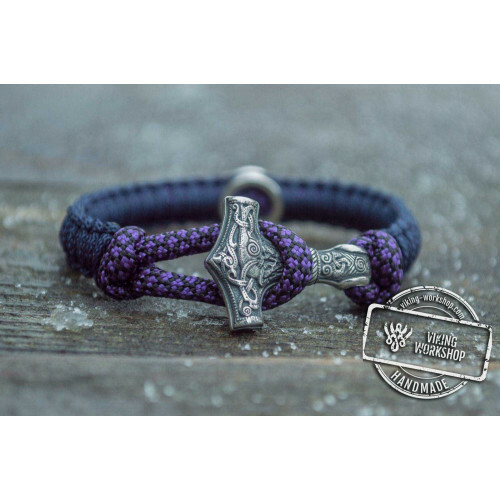 Also it is able to give you strength and elevate the mood. 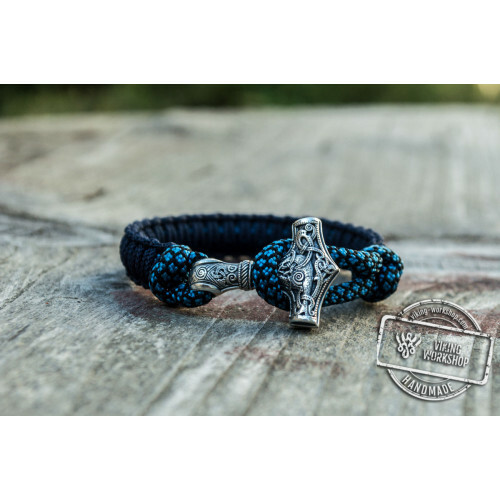 Our website offers unique bracelets for any taste. 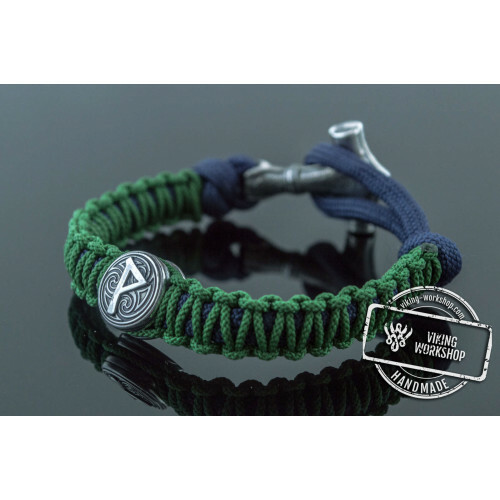 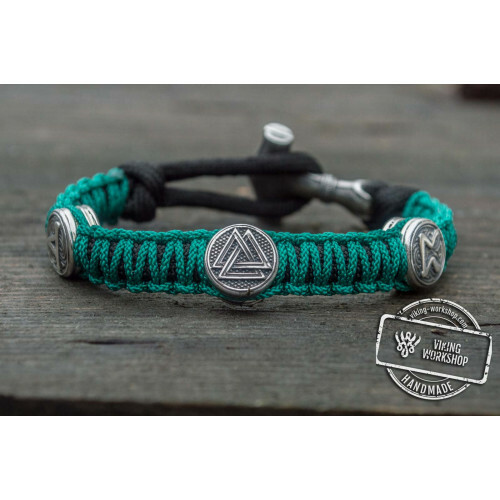 Paracord Bracelet is made of durable materials. 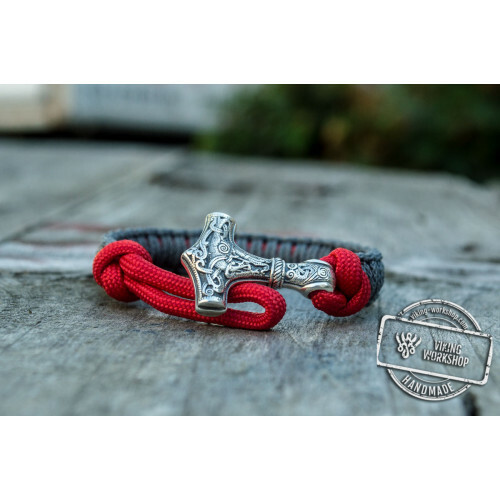 The hammer is worn on an extremely strong cord. 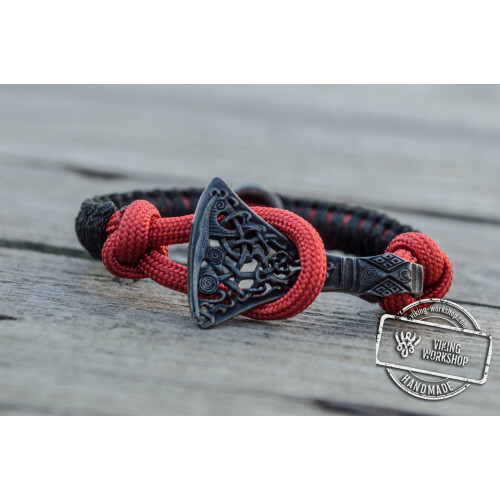 Its surface is smooth and does not irritate the skin. 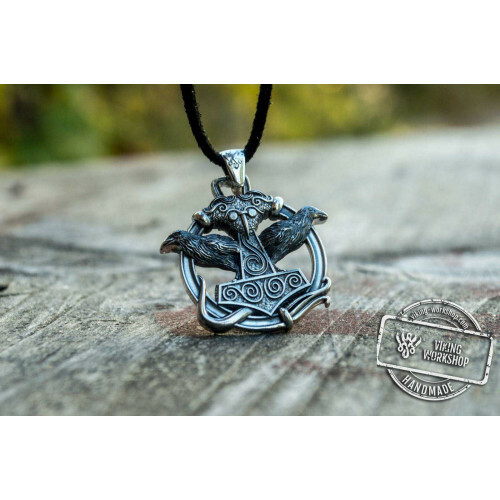 Thanks to a special coating the pendant does not darken over time and from contact with the water. 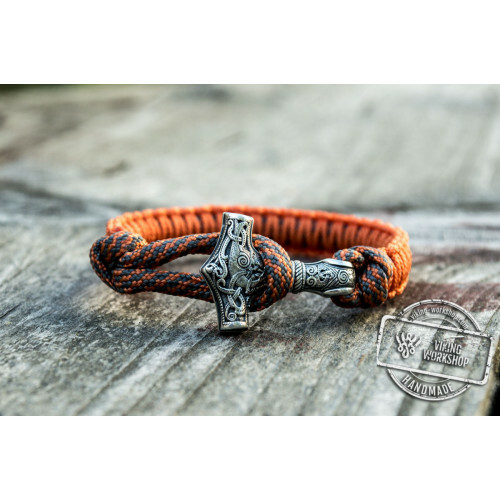 The cord has a complex weaving, and does not wear out. 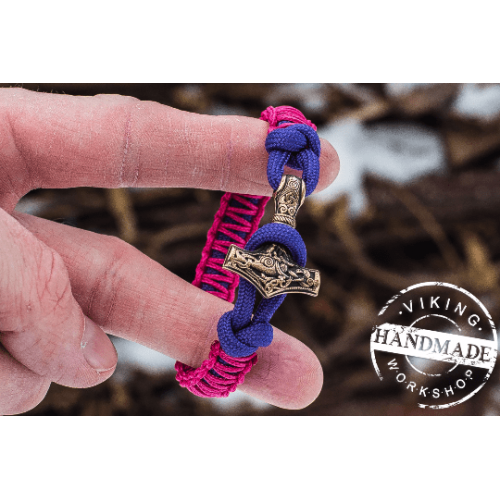 Make an original gift to yourself and your loved ones.